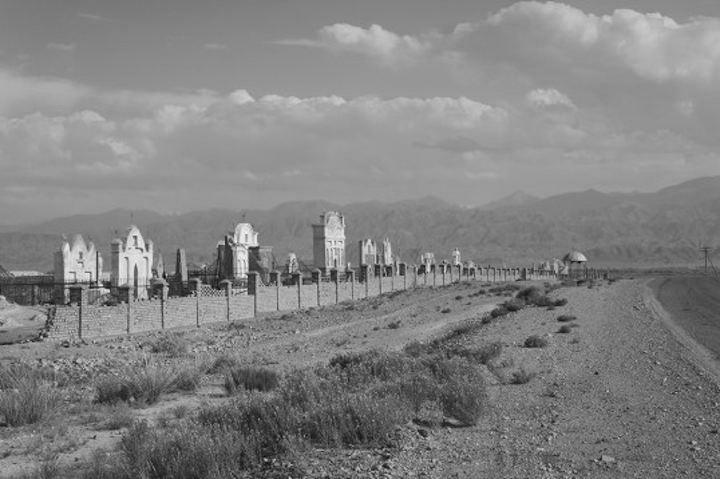 At first [a Kyrgyz cemetery] seems a mirage, the ornate domes and minarets are so completely at odds with the desolate landscape. Miniature cities appear unexpectedly on the edges of inaccessible cliffs or stretch along deserted roads. As one approaches, the scale contracts. The opulent structures are surprisingly smaller than they seemed from afar. 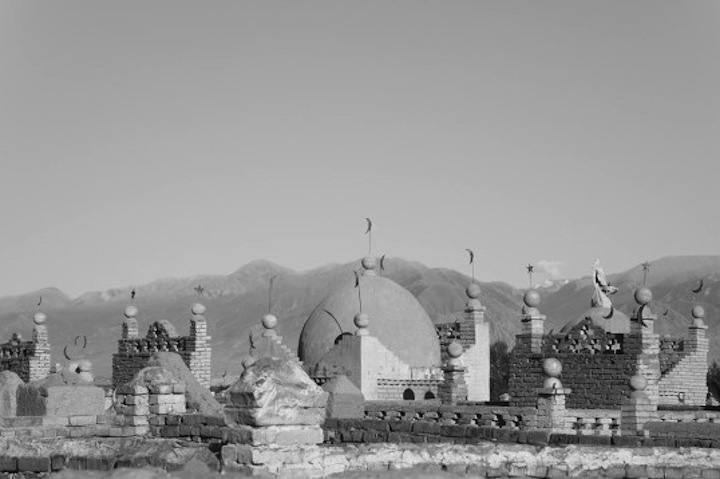 Graceful crescent moons float above cupolas and peaked towers, balanced on fragile metal rods. 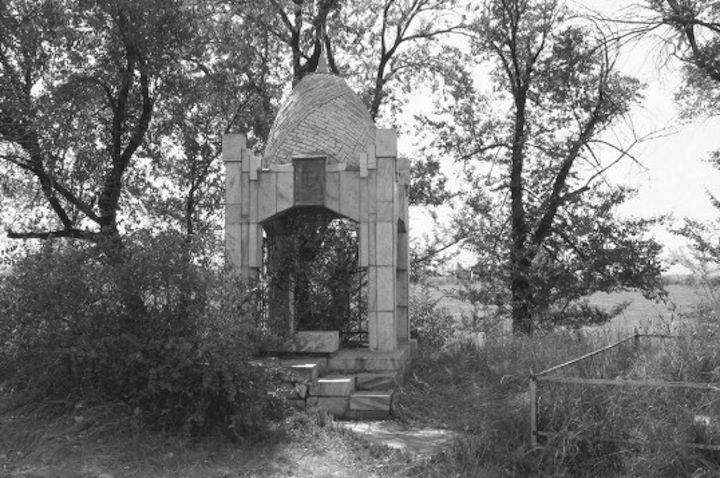 Within the walls, scattered among the imposing mausoleums, delicate metal frames replicate yurts, peopled only by small metal portraits of the deceased and overgrown with weeds, for it is not Kygryz custom for the living to frequent the graves of the dead. 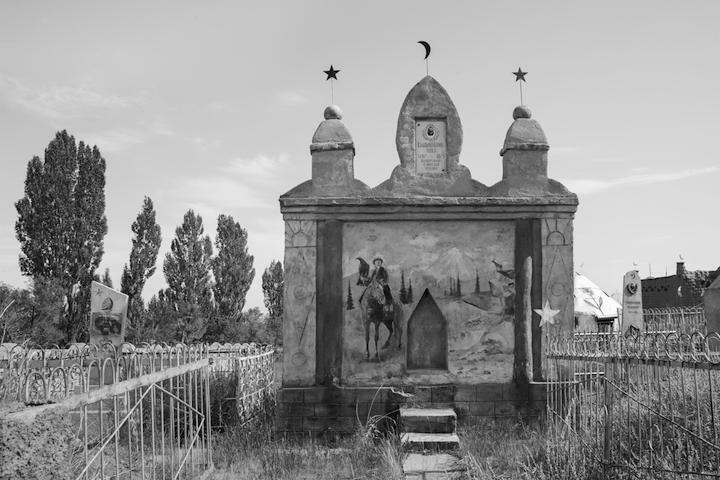 With this spare, moving commentary, Margaret Morton introduces her photographs, Cities of the Dead: The Ancestral Cemeteries of Kyrgyzstan. The exhibition is now on view at the Arthur A. Houghton Jr. Gallery, The Cooper Union School of Architecture, in New York. The artist’s reception takes place on Tuesday, February 3, at 6:30 pm at the Arthur A. Houghton Jr. Gallery, in The Cooper Union Foundation Building. 7 East 7th Street, 2nd Floor, NY, NY. Information. There will be a lecture, discussion and book signing on Friday, February 20th, 6:30 pm, in the Frederick P. Rose Auditorium. The Cooper Union, 41 Cooper Square, Third Avenue between 6-7th Streets, New York, NY. Information. Read Margaret's commentary on these photographs, on the occasion of the book launch, here. If you would like to subscribe to DART, go here. 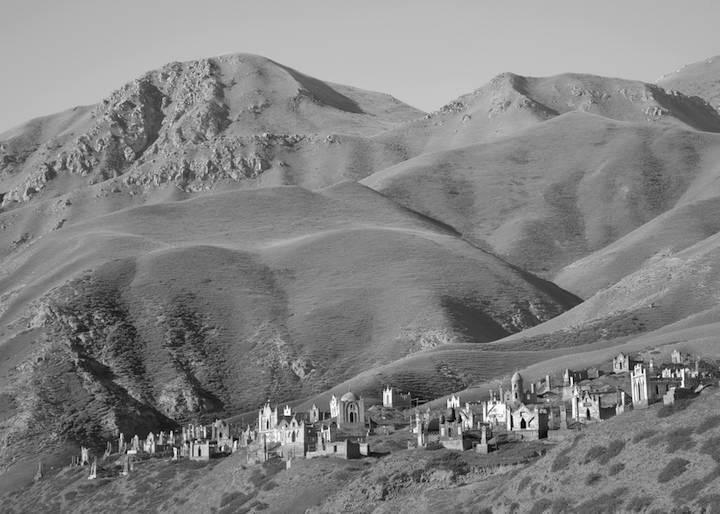 Margaret Morton has been engaged with the photographic representation of alternative built environments for more than twenty years and has published five books: Cities of the Dead: The Ancestral Cemeteries of Kyrgyzstan(University of Washington Press); Fragile Dwelling (Aperture Foundation); The Tunnel: The Underground Homeless of New York City (Yale Press and Schirmer/Mosel, Germany); Transitory Gardens, Uprooted Lives, co-authored with Diana Balmori (Yale Press); and Glass House (Penn State Press). Morton received her MFA from Yale University and is a full-time professor at The Cooper Union, School of Art, New York City. She is a regular contributor to DART.